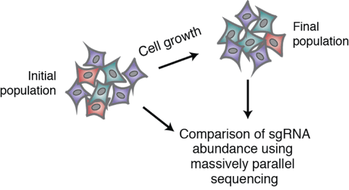 The library is split into two sub-libraries, each containing 5 sgRNAs per gene. Note: This item has been discontinued. 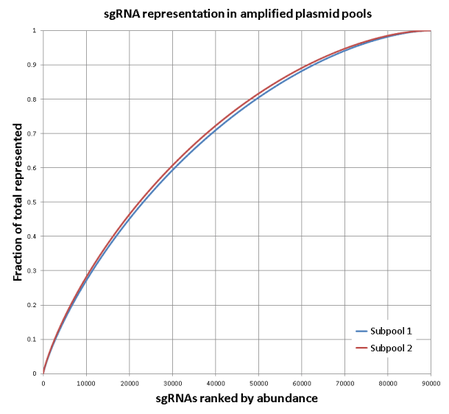 The Sabatini and Lander labs have released an updated version of the library with an additional tube of gRNAs here. 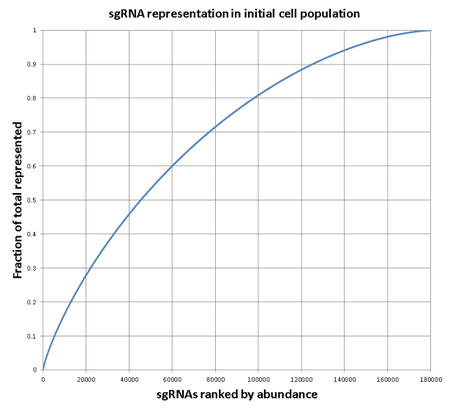 When performing sgRNA validation in a Cas9-expressing cell line, the depositing laboratory recommends using plasmid pLenti-sgRNA (Addgene #71409).